If you like this free game, try Artifacts of Eternity. Solve Inuit people mystery in this ice-cold mystery adventure. Your grandfather spent his life in search of Inuit people treasure but he never returned. Find your missing grandfather and solve Inuit people mystery. Inuit people had a legend of great treasure. Your grandfather spent his life in search that treasure but he never returned. Find your missing grandfather and solve Inuit people mystery in this ice-cold mystery adventure. 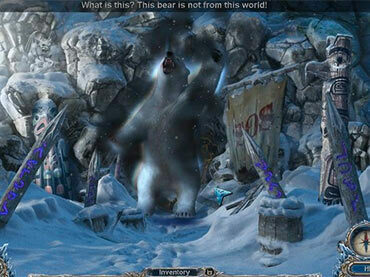 Free Game features: - Travel to Arctic; - Find your missing grandfather; - Solve the Inuit people mystery. If you have questions about Mystery Expedition: Prisoners of Ice game, please contact us using this form.